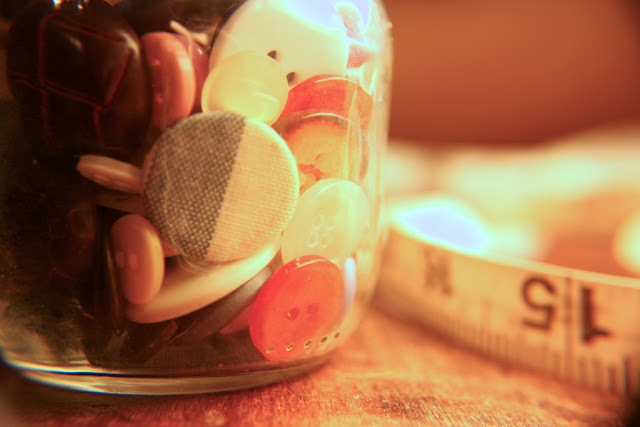 In my quest to find some prop to photograph each day, I thought about the little jar of buttons beside me. I like to photo things that have some meaning to me. That morning I was borrowing a button from it to sew owl eyes on a sweater. 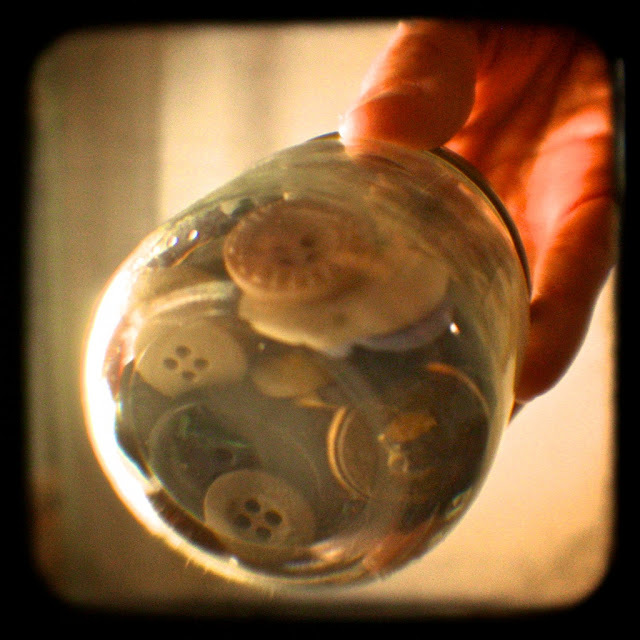 It's just an old baby food jar full of my mother's stray buttons (lots of 70's wood -look in there.) I don't usually pilfer from it or even let my extra buttons mix with them anymore, keeping it sacred, I guess. 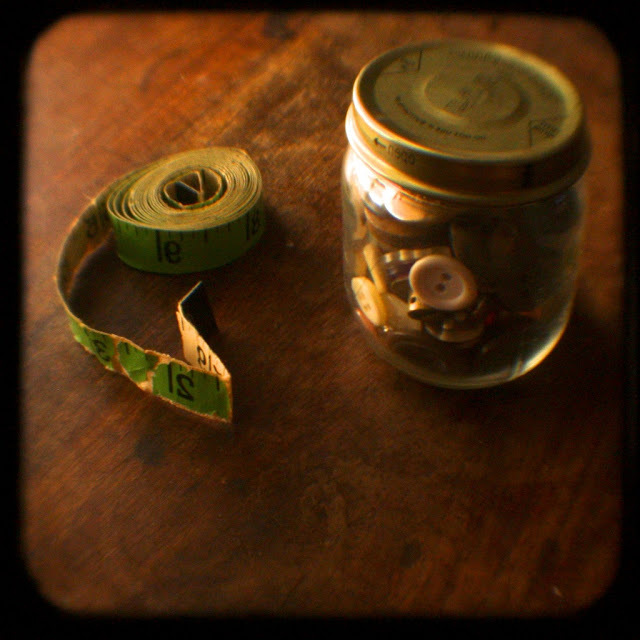 My mother didn't really like to sew, but when she did, I'd dig through her supplies and play with this little green measuring tape. I'd roll it up tight, then push the center upward in a cone shape and think of The Tower of Babel. Seems I have something attached to every object around me, or every place. They truly are props that I set around to support or soothe me. Even the weirdest things contain some link to her: a cigar box of letters, a locket, a big, plastic bunny ring that I gave her then guilt tripped her into wearing to church one Sunday, just to see if she'd do it. If I open this jar, which I rarely do, I can still smell her. Kind of powdery. I guess I could draw some allusion here or tie this all together with the holiday or something; but the kids are at home and I never say things like I want to.